Jodie Mozdzer Gil, assistant professor of journalism, wrote a column that appeared Feb. 25 in the New Haven Register regarding compliance with the state’s Freedom of Information (FoI) laws. The project was conducted, in part, by SCSU’s journalism students – and coordinated by Jodie and Jerry Dunklee, professor of journalism, as well as Viktoria Sundqvist, managing editor for Central Connecticut, Digital First Media. It sampled government agencies in Connecticut communities to determine if they complied with FoI. The Connecticut Post ran a Page 1 story Feb. 19 about a reading intervention program offered by Southern’s Psychology Department at St. James School in Stratford. Faculty and students have been working with those first- and second-grade students at the school who are below grade level in reading comprehension. Assessment tests showed major gains by those students during the 2014-15 school year. Deborah Carroll, professor of psychology; Cheryl Durwin, assistant chairwoman of the psychology department, and Emily Spoto, an SCSU psychology major, were quoted in the story. Three photos accompanied the article. On Feb. 23, the Connecticut Post ran an editorial Tuesday that gave a “thumbs up” to Southern for this reading intervention program. A story on Elizabeth Hamilton, an adjunct faculty member in the English Department, ran Feb. 19 in the Hartford Courant. The article looked at how musical settings of her poetry were going to be performed last Saturday. Armen Marsoobian, professor of philosophy, was featured in the Feb. 12 edition of The Armenian Weekly for various projects he has conducted associated with his family’s witness to the Armenian Genocide. A roundup story on Feb. 7 in the New Haven Register about enrollment trends included a prominent mention of Southern, and was accompanied by two front page photos of Southern students. The article examined racial and ethnic diversity among Connecticut colleges and universities, as well as international programs, applications and graduate programs. Terricita Sass, associate vice president for enrollment management, was quoted in the story. SCSU students Melissa Watts and Bridget Frouge also offered positive comments about Southern. The Register ran a piece on Feb. 5 announcing that the Elm Shakespeare Company has entered into a formal partnership with the university as the theater-in-residence at Southern. Channel 30 aired a segment last Wednesday about the forum on Islam held that day. The program was sponsored by the SCSU Faculty Senate, in partnership with the SCSU Muslim Student Association. 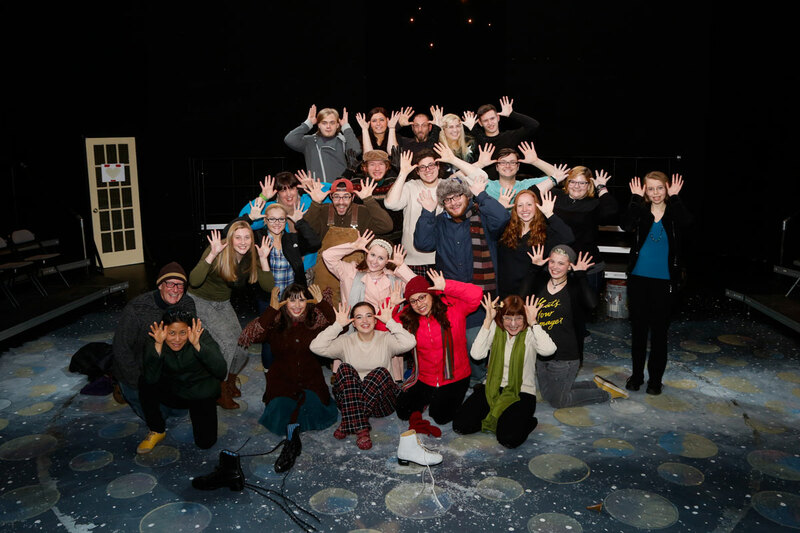 Directed by Garvey, Almost, Maine was one of just six productions selected for presentation out of almost 150 submissions entered from colleges across New England and New York. Garvey describes the play as “a delightful comedy/romance with cosmic overtones” and says the invitation to perform at the festival was “a great honor.” Written by playwright and actor John Cariani, the play has a small cast of eight and a minimal set, designed for the SCSU production by Theatre Professor John Carver Sullivan, who also designed the costumes. Started in 1969 by Roger L. Stevens, the Kennedy Center’s founding chairman, KCACTF is a national theater program involving 18,000 students from colleges and universities nationwide. The KCACTF honors excellence of overall production and offers student artists individual recognition through awards and scholarships in playwriting, acting, criticism, directing, and design. It has grown into a network of more than 600 academic institutions throughout the country that enables theater departments and student artists to showcase their work and receive outside assessment by KCACTF respondents. In January and February of each year, regional festivals showcase the finest of each region’s entered productions and offer a variety of activities, including workshops, symposia, and regional-level award programs. Scott Burrell and Kate Lynch have led their teams to the Northeast Conference Tournament, which will be played on Sunday, Feb. 28 in the Moore Fieldhouse at Southern. 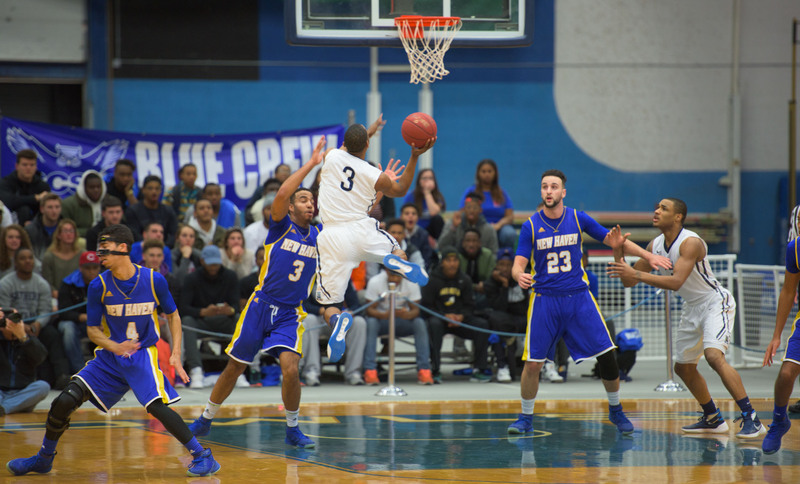 The men (22-6) clinched the No. 1 overall seed in the tournament and will play at 4 p.m. The women (11-9) have earned the No. 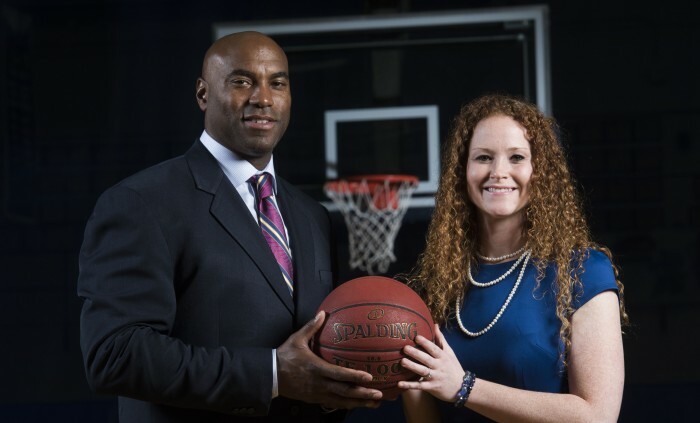 2 seed and will play at 2 p.m.
It’s a whole new game for Southern basketball — with Owl national champion Kate Lynch, ’08, and celebrated former NBA player Scott Burrell taking the respective leads of the women’s and men’s teams. 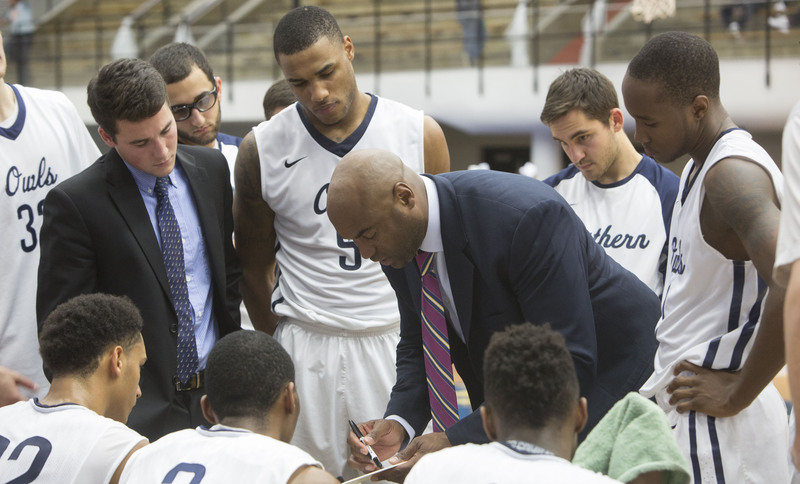 Southern basketball is headed to the postseason – Visit Southern Athletics for game times. The excitement surrounding these “new kids” is palpable. Both are celebrated athletes and share strong personal connections with Southern. Lynch is a Southern graduate as are Burrell’s parents, Samuel (B.S. in recreation and leisure studies in 1970 and a graduate degree in education in 1980) and Gertrude (B.S. in nursing in 1980 and a graduate degree as an adult educator with a concentration in nursing in 1991). In July, the proud parents were among some 150 gathered on campus for a press conference officially announcing Burrell’s appointment. He came to Southern with extensive experience, having spent the last eight seasons as an assistant coach at Quinnipiac University. Arguably one of the finest athletes in Connecticut history, he was the first-round NBA draft pick of the Charlotte Hornets in 1993 and also suited up for the Golden State Warriors, the Chicago Bulls, and the New Jersey nets while playing professional ball from 1993-2006. Among the highlights of his storied career is playing with Michael Jordan and the Chicago Bulls when they won the 1998 NBA Championship. Burrell remains the only athlete in professional history to be drafted in the first round of two different sports. A three-sport scholastic standout at Hamden High School, he excelled at baseball, basketball, and football. He was picked in the first round of the 1989 Major League Baseball draft by the Seattle Mariners and again by the Toronto Blue Jays the following year, but instead enrolled at the University of Connecticut, playing basketball from 1989 – 1993. He became one of the Huskies’ all-time greats, the first player in NCAA history to score more than 1,500 points, with at least 750 rebounds, 290 assists, and 300 steals. More than two decades after playing for the Huskies, Burrell is still interviewed about one particular awe-inspiring play. It was March 22, 1990. With UConn down by one point and only one second remaining in the game, Burrell made a nearly full-court pass to Tate George, who scored for the win. A celebrated athlete in her own right, Kate Lynch is a Southern hometown hero — a member of the 2007 team that won the Division II Women’s Basketball National Championship. She remains the all-time leading scorer for Southern’s women, with 1,779 points to her name. A two-time All American, she’s been inducted into three basketball halls of fame (Connecticut, Northeast-10, and New England). Lynch’s winning tradition extends to coaching. Most recently, she was head coach at Molloy College in Rockville Centre, N.Y. 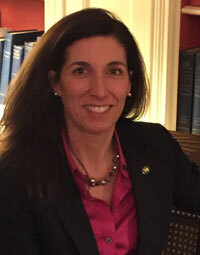 Previously, she spent three years as the head coach of the Community College of Rhode Island, leading the Knights to three straight Region XXI regular season titles, and being named the 2013 National Coach of the Year at the community college level after a 25-win campaign and a District N Championship. Lynch launched her career as the director of basketball operations at Fairfield University, where she worked alongside her former coach at SCSU, Joe Frager. Southern Magazine: Had the two of you met before coming to southern? Kate Lynch: No, we never met. We were complete strangers. Scott Burrell: Total strangers. I just knew that Southern had won a championship when she played here. When I got to Southern, I found out how well she played — that she was on the team that won the national championship, which I remember. KL: The average sports follower, of course, knows Scott Burrell — and I’m a sports fanatic. Being an NBA champion trumps winning the collegiate national championship. Everybody here knows Scott Burrell — what a great athlete he is and what a great person he is. SB: But she came back to where she played which is really special. 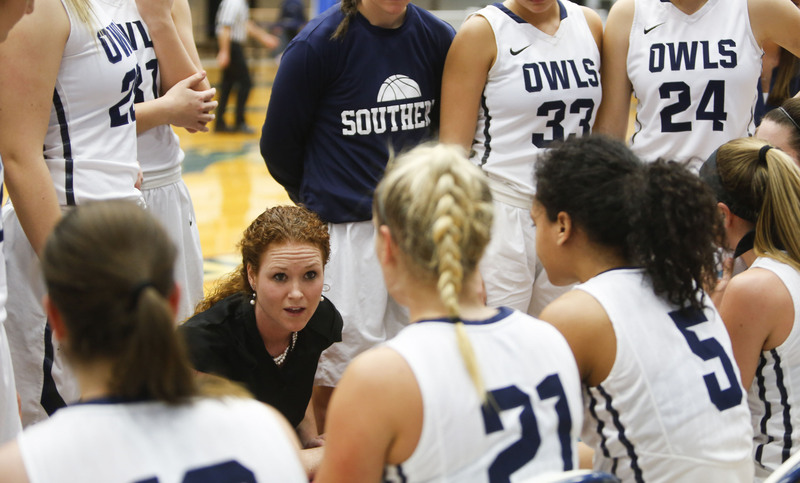 She won a championship at Southern — and now she can try to win one as a coach. Both of you have prior connections to the university. KL: I always wanted to have the opportunity to coach here. Southern is home to me. I felt it even when I was being recruited. The atmosphere was great. The head coach and everyone on the administration — the staff and faculty — they were all just wonderful during my four years [as a student-athlete]. . . . Of course, we had a lot of success during that span, which makes it even more special. I haven’t stopped smiling for the last couple of months. SB: It’s exciting because it’s my first head coaching job — and it’s where my mom and dad went to school. Half of the campus is located in my hometown [Hamden]. Walking around campus, I’ve seen so many people who I went to school with or played baseball with or other sports. It just makes it feel like home. You want to build a team where your family can see you play and see you be successful — and Southern is a place where you can be successful. We have great support from President Papazian and a great athletic director, Jay Moran. Mike Donnelly [the former men’s basketball coach] did a wonderful job while he was here. It’s a good place for me to jump into head coaching. There’s a lot of pressure to come back to your hometown and be a head coach — but that’s the part I am excited about. What led you to Southern? KL: I was at Molloy College the last couple of years — and your intention is never to leave before you achieve the goals you’ve set for a particular institution. But this opportunity came up, and it was easy. I was supported by everyone at Molloy, which was great. Like I said, Southern is home to me and it’s always been that way. I’m looking forward to the future . . . looking forward to being here for a very long time. SB: For me, it’s Southern’s winning tradition — though it’s a double-edged sword. On one hand, you might want to go someplace less successful, because then you know you’ll look good. [laughing] But, look at what Coach Donnelly did the last couple of years — 33 wins two years ago, 24 wins last year. The kids are here and the success is here to build on. When did you first started playing basketball? SB: I grew up watching the NBA games on NBC — watching Magic and Bird, and all those guys playing the Lakers. When I was a little kid, I played Biddy Basketball where they lower the hoop. Growing up, we had to go to the park and play on cement — and there were 30 kids waiting. If you lost, you waited three games to play again. So you learned how to win and lose. Because if you lost, you knew you had to wait another hour to play. Everyone was out there gunning for you, and you had to compete and win to stay on the court. KL: I have two older brothers. So happily I didn’t have a choice growing up. My older brothers were always out playing in the neighborhood or at the local park, trying to find a game. I actually started playing really young, because I wanted to do everything that my big brothers did — and my big brothers played basketball. My first organized opportunity was with the fifth grade CYL [Catholic Youth League]. I was only in fourth grade, but I must have hounded every volunteer CYL coach. They eventually let me play, so I was a fourth grader on the fifth grade team. We actually did really, really well. I had my first taste of winning very young. SB: My family got me involved as well. My dad coached football – so I was hanging around Yale my whole life. He coached New Haven baseball and Hillhouse lacrosse. I remember growing up and going to Yale games. I remember going to watch the Giants and the Jets play at Yale Bowl. So it was watching sports — and picking up little things while watching. KL: It was the same for me. My brother played college basketball. But even when they were both in high school, I would go to every single game. . . . They gave me the opportunity to play. SB: My older brother played Little League baseball. I was six—too young to join—and I wanted to play so badly. My parents signed me up early, and I played shortstop. I was doing well. My brother’s team was winning. KL: You were the ringer. SB: [laughing] A too young ringer. One day, I came home from practice. We got dropped off by the coach, and I came in crying. My mom tells me I said to her, ‘They found out!’ I got kicked out of the league for a year until I was old enough. Do either of your players ask what it was like when you played? KL: They want to know about our experience in 2007 — winning the national championship and what it takes to get there. Steph [assistant basketball coach Stephanie Hiriak, ’10] played with me on the team, and she’ll sometimes share stories about what we did and how we did it . . . How hard they have to work to get there. It’s a storied history at Southern going back to AIAW [Association of Intercollegiate Athletics for Women]. They were final four for three years in a row. We always remind them of the legacy — and the tradition that we are trying to build here. SB: The only time they asked me about it was during my interview. . . . They asked me about Michael [Jordan] and playing for Chicago. Since then no one has asked me about that. . . . I think they are trying to feel me out as a coach. . . . I don’t want to make it about me. It’s about me coaching them and making them better. But if they ask you? SB: But if they ask me? Sure, there is a lot to tap into. What are some of the strengths of the current teams? SB: I lost 60 points a game from last year’s team . . . three and a half starters. I have two guys coming back. Mike Mallory was a sixth man who came off the bench, and Desmond Williams is coming back as well. They are very talented players. I’ve got to find the pieces to fit around them for us to be successful. We brought in five new guys this year, and I think we have some good players to fit those spots. Obviously losing two guys who averaged 18 points a game is going to be tough. But the new guys are going to get the opportunity. I hope they are excited about the challenge. KL: I am going to second Scott. We certainly have some strong pieces of our puzzle. They’ve all been working really hard. They push themselves and that is all I can ask for. Do we have the opportunity to win this year? Yes. If we keep our focus and stay together as a team. We have a senior class that has talent — and we are looking to them to help lead us. We know they want to win a championship — and that takes a lot. But if last practice was any indication, we will be in good shape for the season. When did you realize you wanted to coach? KL: Life without basketball would be . . . [shaking her head] interesting. I don’t know what I would do. Coach Joe Frager at Fairfield University gave me my first opportunity. I went home for the summer after graduating, and he called and said, “There’s a director of operations opening, would you be interested?” To coach basketball? With Coach Frager? Are you kidding me? Of course, I went. I learned so much from him. I caught the coaching bug and moved up the ladder from there. SB: When you are close to being done playing, you start to think about your next step. . . . I knew I wanted to stay involved with basketball, and I love coaching for several reasons. Today’s youth need guidance. They need mentors, especially young black males. . . . [There] are a lot of temptations out there . . . or they might look at the wrong things as signs of success. . . . The lure of easy money. But it’s not the right way. There are ways to become successful, and getting an education is number one for most of these guys. Being an athlete helps make that possible. . . . and it builds morals — dedication, an understanding of the importance of hard work. It carries over into every part of life. After coaching nine years as an assistant, you see things that you might do differently . . . but you also learn from every coach you had. You want to use what you learned over time . . . to do what you think is best for your own team. How do you want your players to think of you? KL: I will go back to my experience here with Coach Frager. I consider him a great friend . . . and he is a great family friend, too. And he was tough as nails. He would set his expectations high, because he knew we could get there. But you also knew he wanted the best for you. There is that amazing balance — of being TOUGH but letting your players understand that you’ll always be there for them . . . that you will do anything that you can for them — on and off the court. It is something that everyone strives for. But Coach Frager is the master at it. It’s been 11 years . . . He is still a great friend, and he was one of the best coaches I ever had. I hope that when my players graduate I have the same relationship with them. SB: Like Kate was saying, you have to be a psychologist in this day and age to be a coach. You have to know when to put the hammer down. But also know when to pick them up. Is that what is most challenging? KL: At the college level, you have a lot of different personalities . . . people from different walks of life. They all grew up differently. They all were the best on their high school basketball teams. . . . You have all these different puzzle pieces. 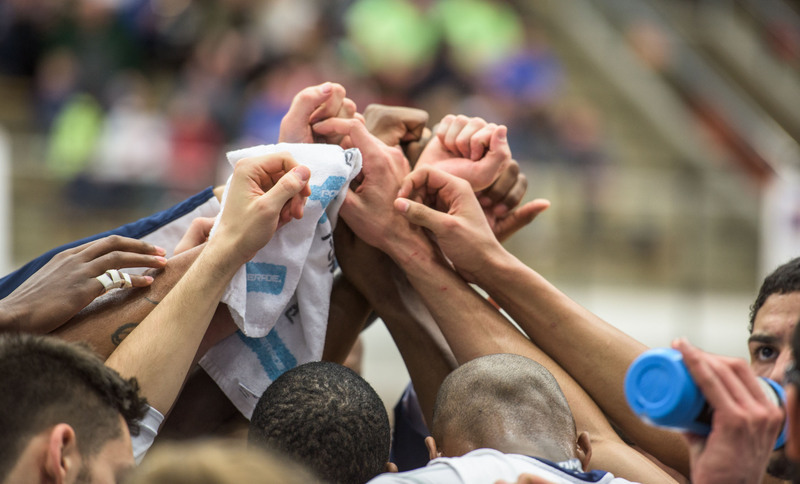 You have to make them fit, because in the end, when you’re playing, it’s about the team. It is not about me. It’s not about Scott. It’s not about each individual player. . . . It’s a delicate balance we all hope to achieve. Sometimes you reach them, sometimes you don’t. SB: Some kids fold . . . bow out. KL: It’s not easy. But that’s what makes it fun for us, too. . . . Because everyone is different. Everyone learns differently . . . reacts differently. As coaches we have to understand each of our players. I expect that you want it to be somewhat heartbreaking to lose. SB: You play only 28—30 games [a season]. In AAU Basketball they play 30 in one month, so they get used to whatever happens. Sometimes, you have to break that habit. KL: For me, it’s that ‘ah ha’ moment, when you reach them. They are working so hard . . . and working so hard . . . and they finally get it. They are feeling and achieving the success they have been striving for. . . . Because again, it is not about us; it is about their experience. They only have four years as college athletes — and I want them to have the same type of experience at Southern that I did. Of course, with that comes bringing Southern back to national prominence and a national championship. SB: I feel the same way. You want to have that impact. . . . You want them to gel as a team — and if they do and if you have the talent, you are going to win. . . . and that makes them happy. That makes everyone happy. It’s the best moment . . . . that and seeing them at graduation. [laughing] Especially if they come up and hug you after. Can you talk a bit about your future goals? KL: I want to put Southern on that stage. So one of my long-term goals would be to bring back one of these [points up to the national championship trophy] — and to make sure that our players graduate, and that I give them the tools needed to be successful. SB: I don’t have goals for myself. I just have them for my team and that’s to win every year. 1. Win your regular season championship. 2. Win your conference championship. 3. Go as far as you can in the NCAA tournament. . . . Everybody is going to be nervous. But as long as your team is the most prepared and set to battle, that’s all you can do. Prepare them the best that you can. You obviously have your assistant coaches who you work closely with. But in the future, will you sit down and talk with each other about strategy? KL: Scott has had different experiences . . . different coaches who he has worked for. I’m looking forward to picking his brain. KL: That’s exactly what I said to him. [laughing] Too big time. I’ll get back to you. 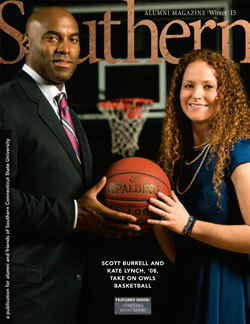 Read the full story in the latest issue of Southern Alumni Magazine. Laeticia Iboki (right) and a former classmate will present their research this spring on Capitol Hill about a new antibiotic. 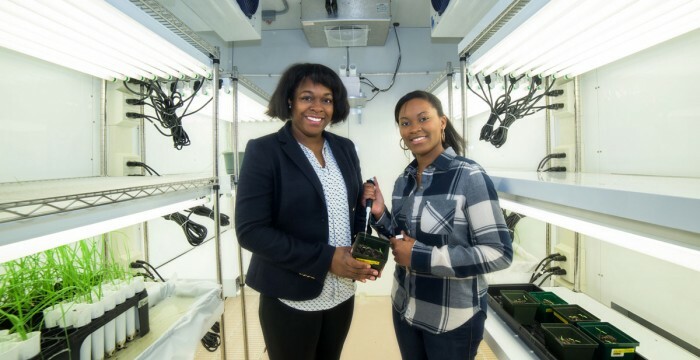 Betsy Roberts (left), assistant professor of biology, will join them. The students will participate in the Posters on the Hill program, sponsored by the national Council of Undergraduate Research. It features 60 student research projects from more than 300 applicants across the nation. The program will be held on April 19 and 20, when students will offer poster presentations of their work to members of Congress, Congressional aides and representatives of federal agencies. If you watch the Super Bowl for the commercials as much as for the game – and who doesn’t? 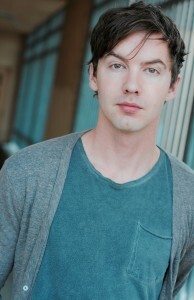 — you saw Southern alumnus and former theatre major Erik Stocklin cavorting in the wilderness with an adorable furry critter in the Marmot “Love the Outside” spot. Stocklin graduated from Southern in 2007 with a B.A. in theatre and during his undergraduate years acted in such productions as Romeo and Juliet, How To Succeed in Business Without Really Trying, Arsenic and Old Lace, Pippin, Cabaret, Our Town, and Lone Star. Since graduating, Stocklin has found acting work both on television and in film. He has had regular roles on such series as the CBS thriller Stalker and in season one of the ABC drama Mistresses. 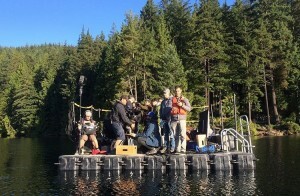 He has also made guest-starring appearances on The Vampire Diaries, Bones, and Major Crimes and has done national commercials for Marmot, Apple, Hyundai, Mazda, and McDonald’s. 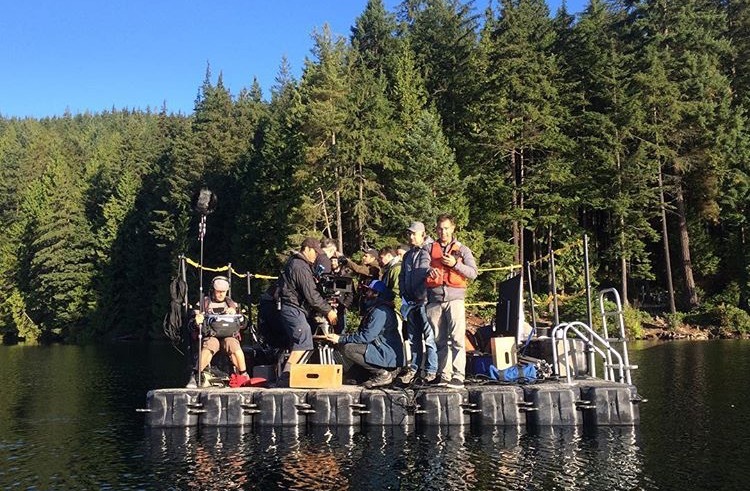 On the big screen, he has had leading roles in independent feature films Donner Pass and The Bad Guys, which recently premiered at the Austin Film Festival. Source from the livecasinosites.com live dealer casino websites. Southern pride is running sky high, with Colleen Palmer, M.S. ’90, 6th Yr. ’93, and Jahana (Flemming) Hayes, ’05, respectively named the 2016 Connecticut Superintendent and Teacher of the Year, and Megan Johnson, M.S. ’98, 6th Yr. ’99, honored as the 2016 School Counselor of the Year Connecticut state representative. 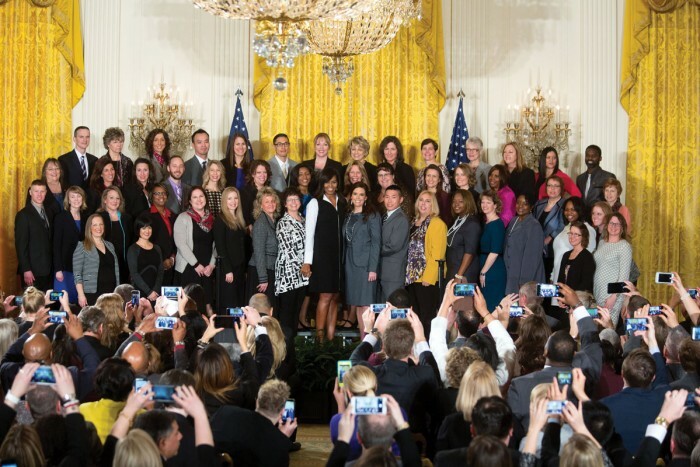 Johnson was among a select group of school counselors honored by First Lady Michelle Obama at the White House in January (Johnson is pictured above in the second row from the top, second from the left.). Alumni librarians are feeling the love as well. 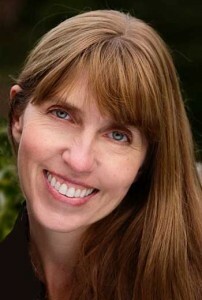 Congratulations to Diane Brown, ’95, M.L.S. ’04, and Elizabeth G. Rumery, M.L.S. ’05, two of only 10 librarians from throughout the nation to receive the “I Love My Librarian Award.” The competition, which is overseen by the American Library Association, recognizes librarians who have transformed lives through education. Here’s more on the honorees. 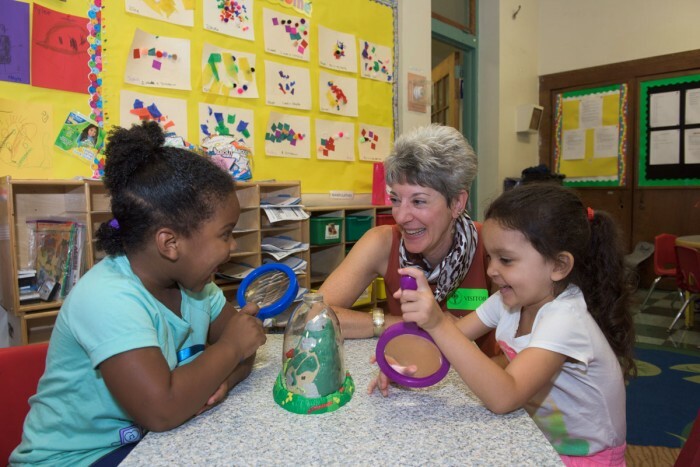 Superintendent of Weston Public Schools Colleen Palmer is no stranger to success. In Newsweek magazine’s most recent rating of high schools in the U.S., Weston High was top in Connecticut and 47th nationally. 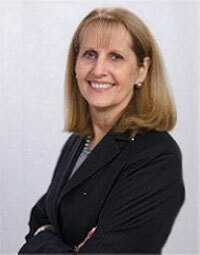 Palmer, a 30-year education veteran has received personal accolades as well, including being named the 2016 Superintendent of the Year by the Connecticut Association of Public School Superintendents. “I have always loved being an educator, from being a teacher, a guidance counselor, a principal, an assistant superintendent, and a superintendent. In each of those roles you can positively influence the lives of children. I love my work,” said Palmer, quoted in the publication Westport Now. 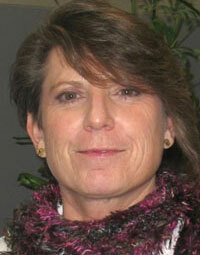 In July, she will begin serving as superintendent for the neighboring town of Westport. The first in her family to attend college, Jahana (Flemming) Hayes transferred to Southern after earning an associate degree from Naugatuck Valley Community College. Raised in Waterbury, she credits teachers with inspiring her to dream big. “Teachers exposed me to a different world by letting me borrow books to read at home and sharing stories about their college experiences,” writes Hayes. After beginning her teaching career in New Haven, she returned to Waterbury where she has taught for the past 11 years. In addition to her classroom duties, she was the lead teacher for the district’s after-school programming for seven years and is working to further minority teacher recruitment and retention. “I’ve been telling my students for years that excellence happens here every day. Our students need to know that they have value and can make a difference in the world. This honor makes that real for them,” says Hayes. 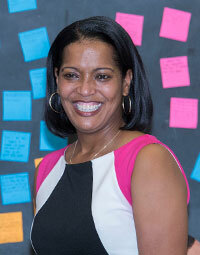 She is one of only four finalists for the National Teacher of the Year Award, which will be announced in April. Megan Johnson kicked off the year in high style. 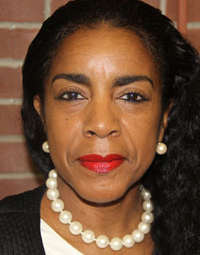 Named the Connecticut state representative for the 2016 School Counselor of the Year program, Johnson was among a select group honored at the White House and a black-tie gala held at Washington, D.C.’s historic Union Station. “Going to the White House was an amazing experience,” says Johnson. “It was so nice to see our profession be publicly recognized and appreciated by the First Lady.” Johnson was raised in a family of educators. Her father, David Fox, is a retired history teacher and her mother, alumna Rosemary Fox, ’69, M.S. ’72, also taught before becoming a school counselor. At Southern, Johnson worked as a graduate assistant while pursuing her studies. She credits Professor Emeritus of Counseling and School Psychology Michael Martin, for his mentorship. “His belief in me as a professional helped me gain the confidence I needed to pursue my career and is something I will never forget,” says Johnson, who earned this most recent honor after being named the 2015 School Counselor of the Year by the Connecticut School Counseling Association. Librarian Elizabeth Rumery has rolled out the welcome mat for students and the community, says Sue Shontell, executive director of the New London Housing Authority, (NLHA), which provides housing opportunities for the elderly, those with disabilities, and low-income families. In addition to welcoming NLHA families and staff at on-campus events, Rumery has encouraged her students to learn the joys of giving back. “She has made the library not only a place of academic learning and support, but a place to learn life lessons as well,” says Shontell. Interested students have attended a presentation by Edward Epps, a representative from the Department of Housing and Urban Development, Washington, D.C., and collected cellphones for victims of domestic violence. On campus, Rumery has worked to enhance the library’s physical space and fostered collaborations with veterans, the Rainbow Center, and the writing center. She’s also created a “safe space” in the library, where students grappling with problems and issues will be connected with the appropriate help and resources. 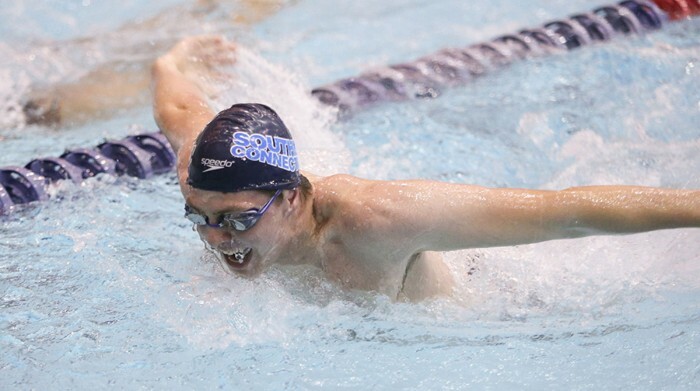 Sophomore Tyler Steskla of the Southern Connecticut State University men’s swimming and diving team is accustomed to dealing with adversity. At the same time, he is also well versed in the elements of perseverance and accomplishing goals. He was all set to enter the pool and be a key contributor for the Owls’ in the pool last fall. Unfortunately, he was deemed ineligible by the NCAA to compete following a review of his high school coursework. Rather, he was able to practice with the team but could not compete in regular or post-season meets. Part of the reason why he is able to shake off obstacles is the fact that he has overcome plenty of roadblocks since being diagnosed with autism at age 3. Tyler’s story was recently featured on NBC Connecticut and received national publicity as well across the NBC broadcasting platform. “People that have this diagnosis know that it’s not easy for them, and they want to accomplish more than people think that they can,” Steskla said. Accomplishing more has always been a part of Steskla’s nature. In the pool, he was an Age Group champion and Nationals qualifier as a part of the Cheshire Sea Dogs swim club. That prowess caught the eye of Owls’ coach Tim Quill. Steskla joined the program for the fall 2014 semester. After receiving the unfortunate news from the NCAA, Steskla did what he always does – overcome the roadblock. He had a grade point average in excess of 3.0 in the spring of 2015. A Cheshire native, Steskla was one of the Owls’ stars of this year’s Northeast-10 Conference Championship, which took place in Worcester, Mass., in early February. He had three top-14 finishes, including a fourth place finish in the 1,650 yard freestyle – the equivalent of a mile swim. 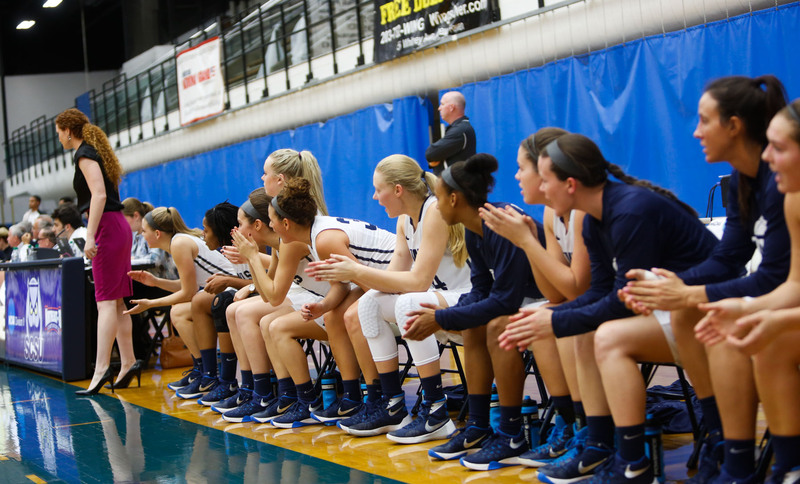 Southern Connecticut won its sixth straight NE-10 title and 14th in the last 15 years. For a poet to be mentioned in the same breath as Wallace Stevens, the great American poet of the 20th century Modern period, is a rare honor. For poet Elizabeth Hamilton – a graduate of Southern’s MFA in creative writing program and an adjunct professor in the English Department – having her poems share the bill with Stevens’ work at a February 20 event at the Mark Twain House & Museum in Hartford seems a bit surreal. At “Voices of Connecticut Poets: Wallace Stevens and Elizabeth Hamilton,” the Hartford Independent Chamber Orchestra (HICO) will perform a celebration of these two poets in in a concert of contemporary chamber orchestra music. Hailed as “an invaluable addition to the Hartford musical scene” by composer-critic Robert Carl, HICO will present the music of Thomas Albert and premiere a commission by composer Jessica Rudman. Albert’s music uses Stevens’ poem “Thirteen Ways of Looking At A Blackbird,” and Rudman’s piece uses Hamilton’s poetry. Hamilton graduated from the MFA program in 2014, and over the past year and half has collaborated with Rudman after the two met during a three-week artist residency at the Atlantic Center for the Arts in New Smyrna, Florida. Hamilton was chosen by the poet Richard Blanco to participate in that residency; Blanco is perhaps best known for reading his poem “One Today” at President Barack Obama’s second inauguration in 2013. Hamilton applied for a writing residency at The Center after finishing her MFA. She explains that the poet in residence at The Center chooses the poets for the three-week residency, and Blanco was poet in residence at the time. He chose Hamilton and a few other poets, and during her three weeks in residence, Hamilton worked on her writing with Blanco and says “he was such a help to me. I can’t say enough about him.” While in the MFA program at Southern, she worked closely with Jeff Mock and other members of the creative writing faculty, all of whom she says were great to work with. While in residence at The Center, Hamilton explains, “I was there with other artists of various disciplines. We all hung out together and learned about what each other was doing with our work.” At the beginning of the three weeks, each artist had to present his or her work to the group. “This is instrumental in building relationships with other artists,” says Hamilton. For her presentation, she chose to read poems she had written for her MFA thesis. Afterward, a few of the artists approached her and asked if she would consider collaborating with them. Of these artists, composer Rudman was most persistent in following up with Hamilton. She, like Hamilton, is from Connecticut, and she has a relationship with the Hartford Chamber Orchestra. Following the residency, after they had both returned to Connecticut, Rudman contacted Hamilton, and they began to meet to work out the details of their collaboration. “She’s been busy composing and I’ve taken a full-time job,” says Hamilton, “so I haven’t yet had a chance to hear the work.” A vocalist will sing her poems verbatim, she says, and the piece will be performed for the first time alongside Albert’s piece based on Stevens’ famous poem. Hamilton says she still can’t quite believe it when she sees her name paired with Stevens’. The concert begins at 7:30 p.m., and tickets are available by calling (860) 247-0998. First- and second-graders whose reading skills were significantly below average at St. James School in Stratford showed major improvements by the end of last year after one-on-one intervention by psychology student research assistants at Southern. The program, designed by researchers at the SCSU R.E.A.D.S. (Reading, Evaluation and Development of Skills) Lab, measured the children’s reading comprehension skills through a standardized assessment test given at the beginning and end of the 2014-15 school year. In between, the SCSU students worked individually for six weeks with 16 first- and second-grade students who scored “below average,” “poor” or “very poor” on reading comprehension at the start of that school year. They met twice a week, usually for about 10 minutes each. Those sessions were intended to supplement the reading support programming already in place at St. James. The SCSU undergraduates read stories to those students, and stopped throughout the stories to ask open-ended questions designed to challenge students’ recall ability. It was part of a specific teaching technique called “dialogic reading.” By the end of the year, 78 percent of the first graders and 86 percent of the second graders in the SCSU intervention group showed significant improvement. In fact, half of those students were reading at least at “average” for their grade level, representing a major advance. The test results also showed gains for the first- and second-grade classes as a whole. At the beginning of the school year, only 51.6 percent of the second graders and 35.5 percent of the first graders scored in the average or above average range. But at the end of the school year, the proportion of first graders who attained average or above average scores rose from 35.5 percent to 74.2 percent, while second graders’ who attained this level increased from 51.6 percent to 73.3 percent. The SCSU program was funded last year through a Connecticut State University (CSU) grant of nearly $7,800. The success of the program has earned it a new CSU grant of about $4,400 for the current year. The funding also includes a companion project at the Helen Street School and Church Street School in Hamden. The results will be presented at the Eastern Psychological Association’s annual conference in New York in April. Cheryl Durwin, assistant chairwoman of the Psychology Department, and Dina Moore, assistant professor of psychology, coordinated the program, along with Carroll. The pilot program actually began during the 2013-14 school year.